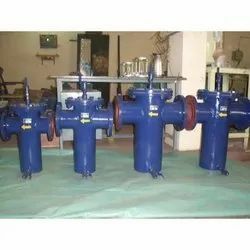 Providing you the best range of frp basket strainers, fabricated tee strainer and rubber lined basket type strainer with effective & timely delivery. We are the manufacturers and exporters of FRP Basket Strainers. GRP/FRP Basket filters strainers will permit the straining filtering of a wide variety of fluids, to retain solids of almost any size. All baskets are easily removable cleanable. Basket strainer elements can be offered in single cylinder, double cylinder, multi cylinder pleated design depending upon requirement of application. 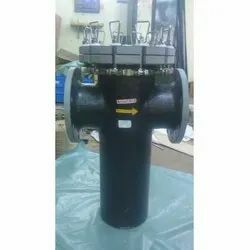 They are constructed of filter housing, filter element supported with perforated cage, positive sealing arrangement to avoid any bypass choice of end connections. Basket filters strainers are normally supplied with spring arrangement at the top of filter element. This will ensure any type of bypassing confirm the position of basket, even in case of reverse flow. Fluid bypass around the basket is prevented by an optional O'-Ring seal between the basket rim and the housing inside diameter. 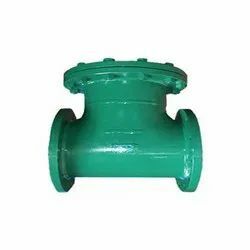 We are involved in offering quality a range of Fabricated Tee Strainer that is fabricated by our professionals using pipes plates and standard equal tee flanges. Designed as per the defined industry standards, the strainers consist of filter elements that are fabricated using stainless steel perforated sheet. Offered at market leading prices, these can also be custom made as per the specifications mentioned by the customers. Available in different lengths and metals, these help in meeting the variegated demands of the customers that are based across the nation. Rubber Lined Basket Type Strainer offered comes designed and developed using latest technology support and effectively handle the task of sieving of water while retaining particles bigger than screen holes. Further, these allow convenient installation through flanges fitted on ends or with internal threads and come in durable ductile iron/cast iron metal finish. Looking for T Type Strainers ?